It's been longer than I expected. I've been bumping around, trying to get things done. You should see the state of my book bag! And shelves! I'm such a glutton when it comes to books...a horrid, obvious, glutton for punishment. And with all my bumping around, I realized I really should make a shirt that looks like those overpass signs for semis that say, "Over this -- tall do not enter", instead putting "no entrance hips wider than --". Look to the funny things of life. And hey--I might be bumping things, but I'd really rock a salsa dress. Curves are to be appreciated. Now, if only I HAD a salsa dress. And had a dance to go to...and someone to dance with. Wink wink. 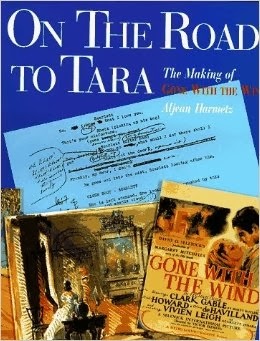 One of the books I got from the library is On the Road to Tara: The Making of Gone With the Wind. I am SO excited! I'm a big fan of the movie. I hope to have a lot to share with you guys soon about the book, and whatever related goodies I might have to share. Definitely some pictures...whatever I can find! And perhaps some pieces on Vivien Leigh. Autumn has been so beautiful. I just wanted to share these pictures with you.